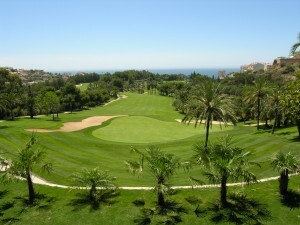 Torrequebrada golf course, in Benalmádena on Spain´s Costa del Sol, opened in 1976. The course was designed by José “Pepe” Gancedo, one of Spain´s most promising amateur golfers, who has since designed many golf courses in Spain, in the rest of Europe and in the States. 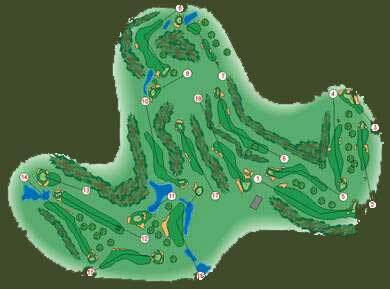 It is considered one of the best courses in Europe. The Torrequebrada golf course is very conveniently situated at approximately 20 minutes from Malaga Airport, Torremolinos and Fuengirola, and just 10 minutes from Benalmádena and its popular leisure harbour. Entertainment is, therefore, within easy reach after a round of golf. The clubhouse, with its panoramic views and privileged situation overlooking the 18th fairway, provides all the modern facilities that one comes to expect from a golf club of this category. Terraces, reception rooms for private functions, dressing rooms, bar-restaurant, driving range and pro-shop.